At last the culmination of Knights of the Eternal Throne hits Chapter 9, ingeniously entitled the Eternal Throne. The previous chapter, End Times, ends with the Eternal Fleet rampaging across the galaxy in some kind of beserk, automated killing spree. The reason given is that the source of control – the Eternal Throne – lies empty with no-one to command it. There is only one solution: someone (i.e. 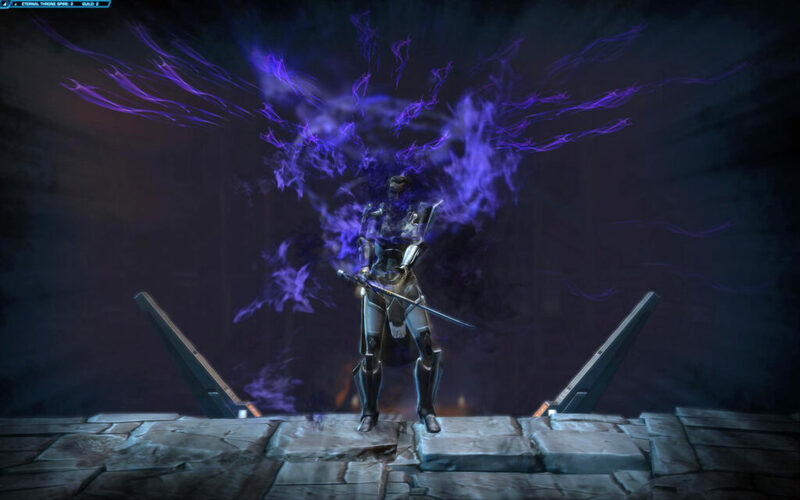 you) must storm The Spire and sieze the Throne. No rest for the wicked, or the righteous. It’s time to leave Odessen and go to the aid of Zakuul. KotET Chapter 9 won’t give you much time to rest! Note: this chapter is based on saving Arcann and Senya way back in Wrath and Ruin. I have a character in KotET who defeated Senya but I haven’t got this far on her yet. When I do I’ll update this blog post with the differences. Chapter 9 starts with a vision of you walking towards the Eternal Throne, through fire and the bodies of dead friends and foes. 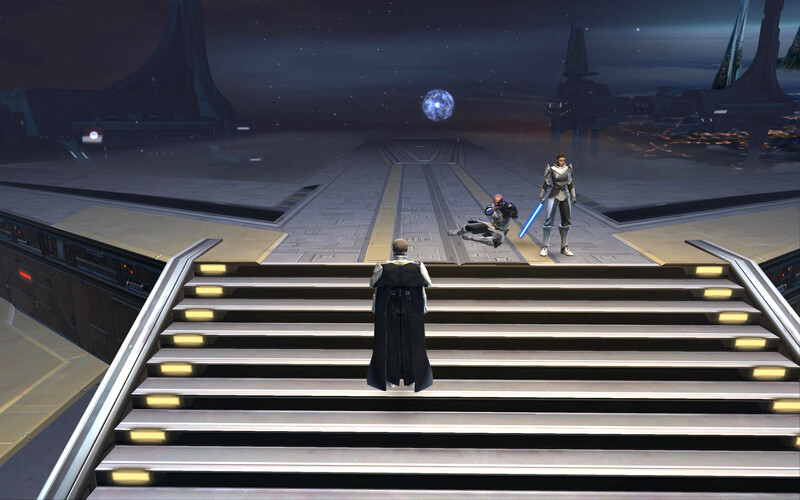 Just as you sit down on the seat of power, Vaylin stabs you in the back. A premonition? Most likely! But you still have the Holocron pulled out of the Asylum on Nathema during Into the Void. If Valkorion pulls any tricks, you hope to have this to rely on. 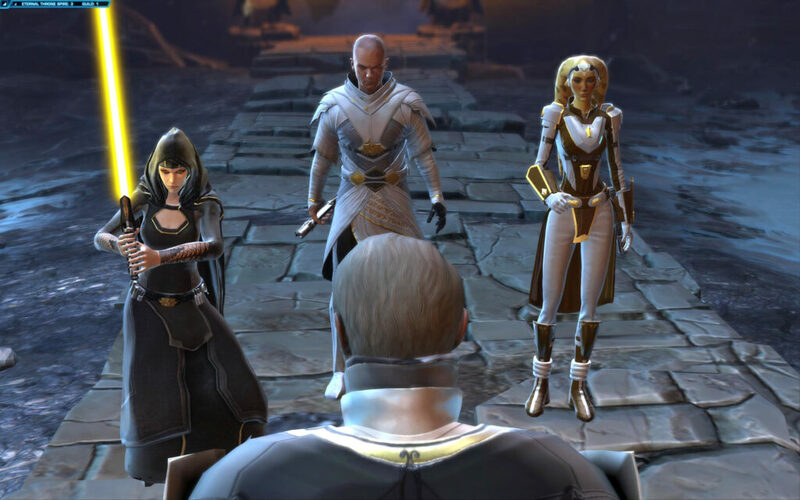 If you save Vaylin and Arcann, they join you in storming the Spire. 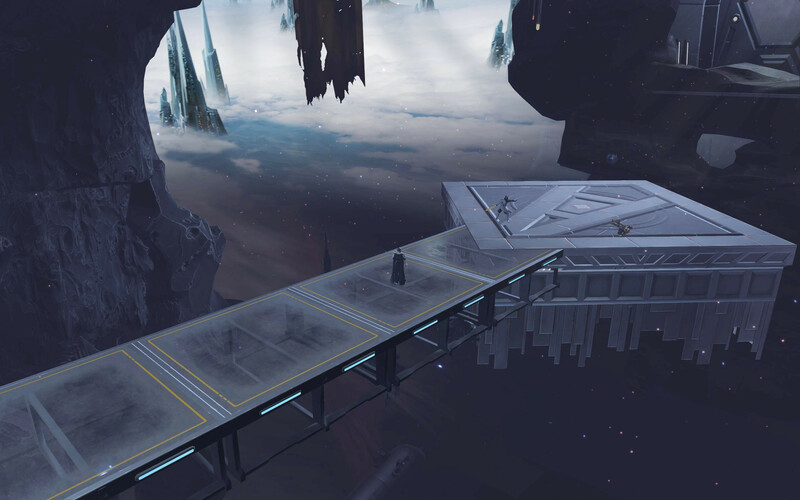 Once landed on Zakuul you fight your way through a large, but for once, not infinite barrage of Skytroopers and Zakuul Knights. 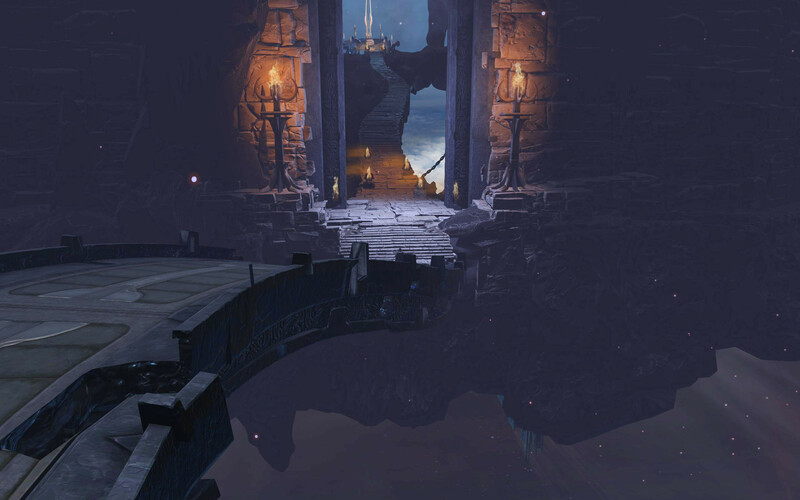 The route to the Throne Room is not that long and you soon find yourself faced with the Seat of Power. Though the Eternal Throne seems to incapacitate you, what is happening in those terrifying moments is it attuning itself you. 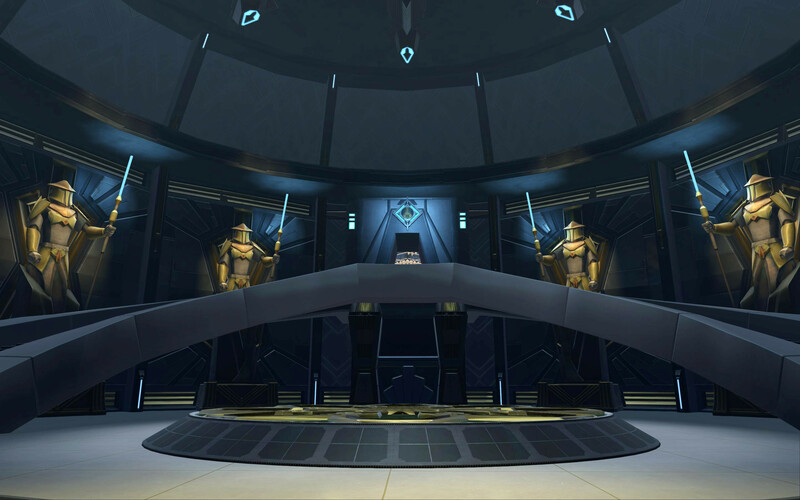 Eventually the electricity charges subside, as do the Eternal Fleet’s attacks on the Core Worlds and on Zakuul. And then Valkorion betrays you, finally using you, his “Exemplary Pawn”, to rule as the Immortal Emperor once more, by taking control of your body and mind. When you finally awake, it is to the most surreal experience – you have taken the form of Valkorion. 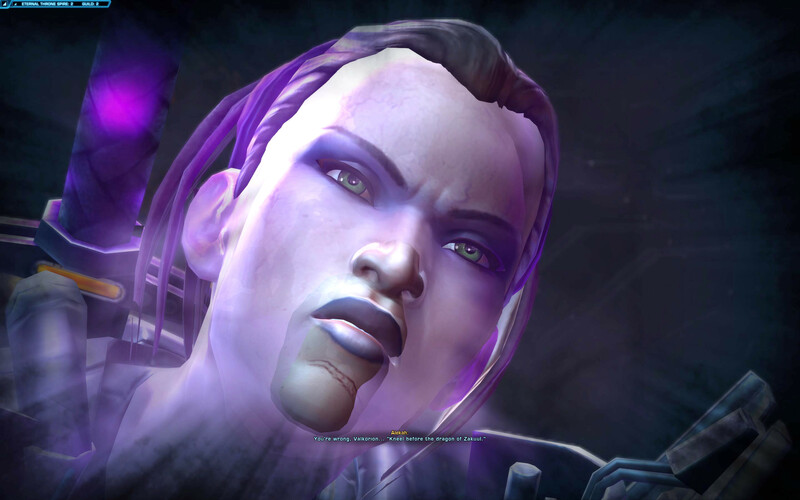 According to your disembodied voice, Valkorion shattered your mind and banished you to the abyss of your psyche. Your only hope is to find the Holocron. Before you can find the Holocron however, you have to cleanse your corrpted memories. This involves you travelling down the self-building bridges in your mind and using the glowing orbs. 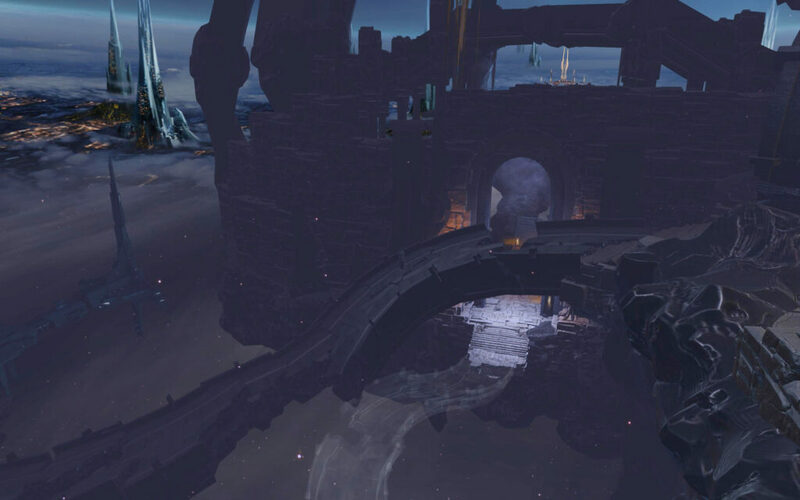 As you cleanse each memory, Valkorion’s voice tells you what he was doing at each stage of your journey with him. Theses note assumes tackling each of the corrupted memories in clockwise direction from your approach. If you do them in this order, the memories should stay in chronological order. 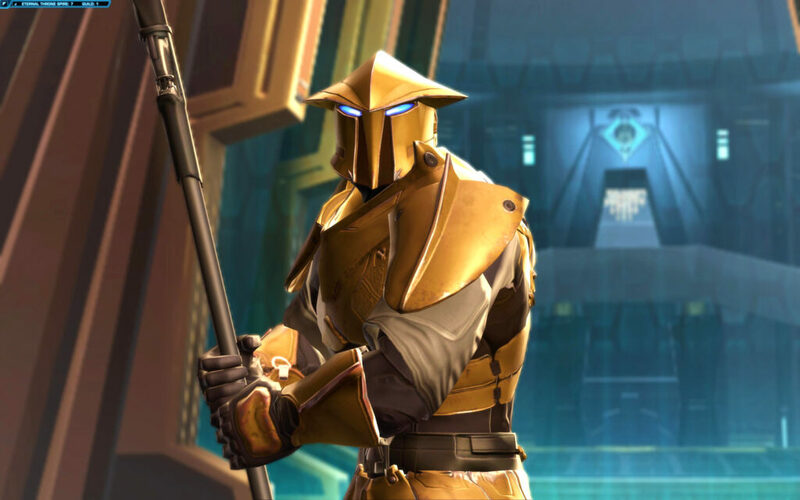 When you helped Arcann to strike Valkorion down his spirit looked in search of a new host. You resisted. Locked in your mind, Valkorion conducted experiments on you. He offered you your power but you refused. 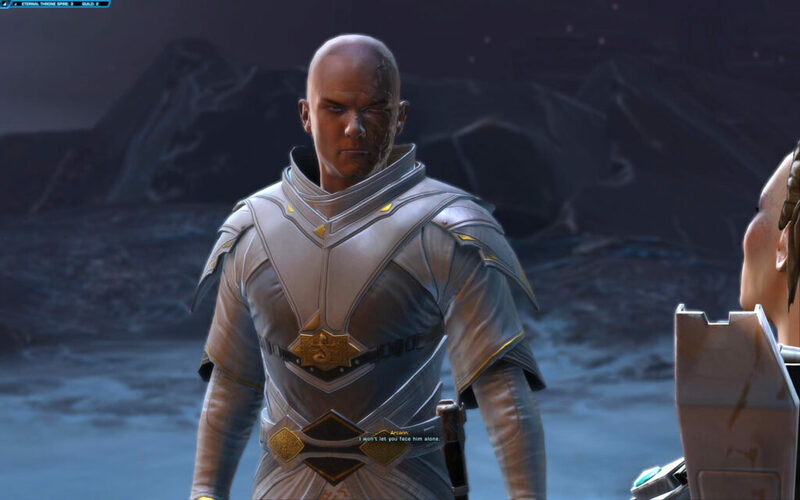 He pushed you to defy Arcann but instead you recruited him. He pretended to leave you alone on Odessen (see: Visions in the Dark). He wanted to see what you would do in his “absence”. Valkorion said your strengths grew and your vulnerabilities festered. In time Valkorion got bored of experimenting on you. So he developed a new plan to hollow out your mind, take control of your body and regain the Eternal Throne. But he said that he needed “new weapons to conquer your psyche”. 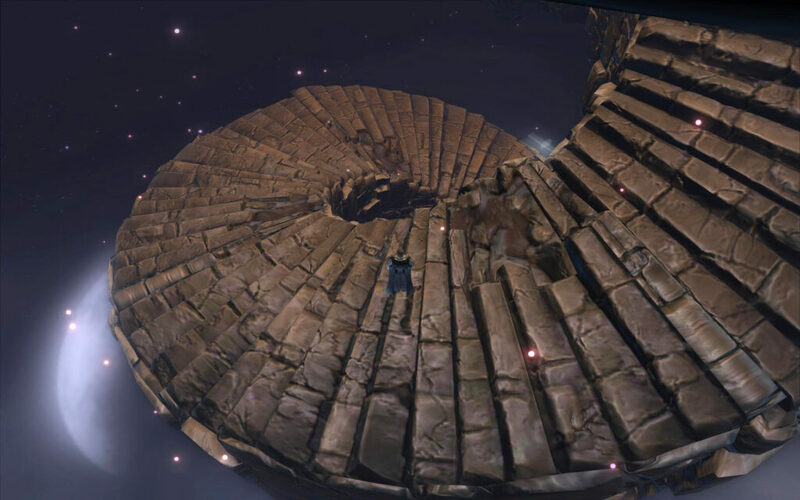 Once you have cleansed five corrupted memories, you can descend the the circular staircase towards a miniature version of the Eternal Throne. There you recover some control of your mind and regain your own form. Somehow Lord Dramath’s Holocron transcends both the physical and psychological realms. But that only allows you to face Valkorion. 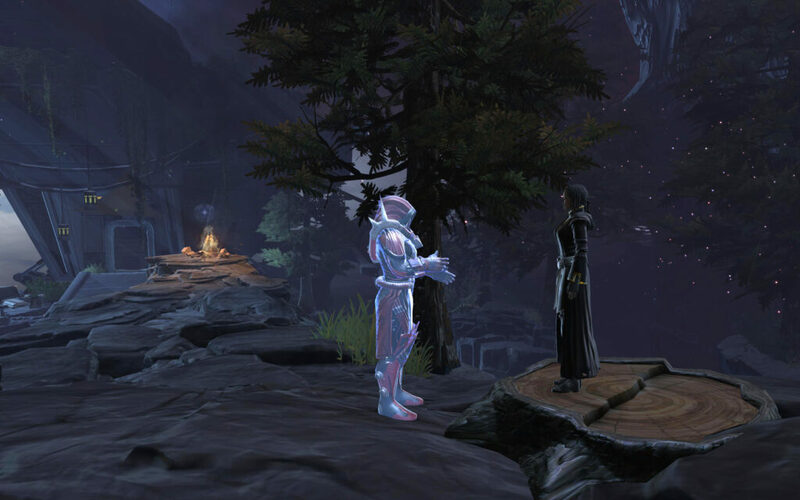 Here he reiterates that he controls Vaylin’s spirit and therefore forces you to fight his daughter again – only this time you do not have allies, an army or a companion to help you! 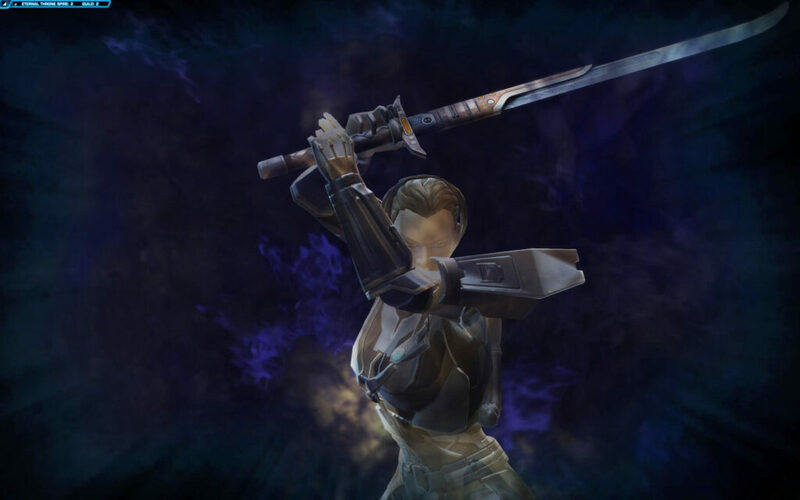 Keep within Melee Range: any abilities used outside melee range will be rebounded back on you. Use her purple circle as a guide. Use the Memories of Healing: these can be used to massively heal you, or to stun Vaylin’s Spirit. If you time it right, you can do both! Run Away at Force Overload: this is her strong Force Push mechanism. It has an 8 second channel time which is enough to get outside the thin outlined circle. If you don’t, you risk being pushed over the edge – and for the fight to restart! Fun. Use Interrupts: a few of her abilities can be interrupted (e.g. Force Blast). Use these to your advantage. You cannot interrupt Force Overload. 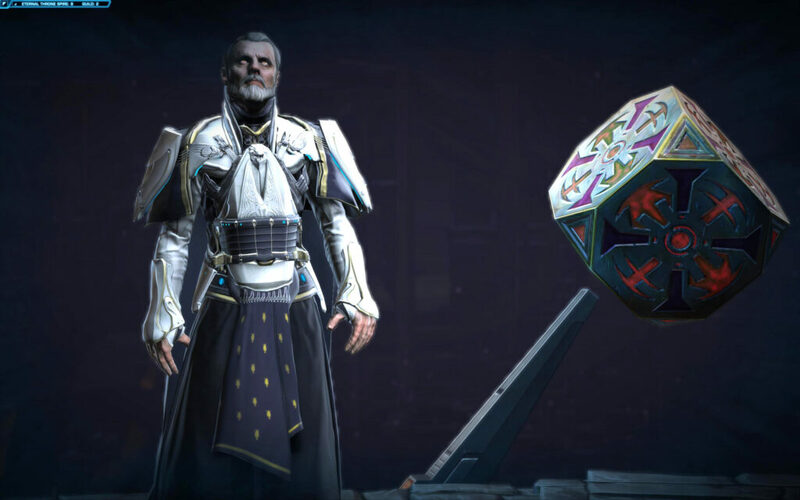 Once Vaylin falls, you will then have to face Valkorion himself. If you saved Senya and Arcann, Arcann joins you in this fight. Use the Memories of Healing: these are still wandering around. You’ll need them if you don’t have Arcann on heals. 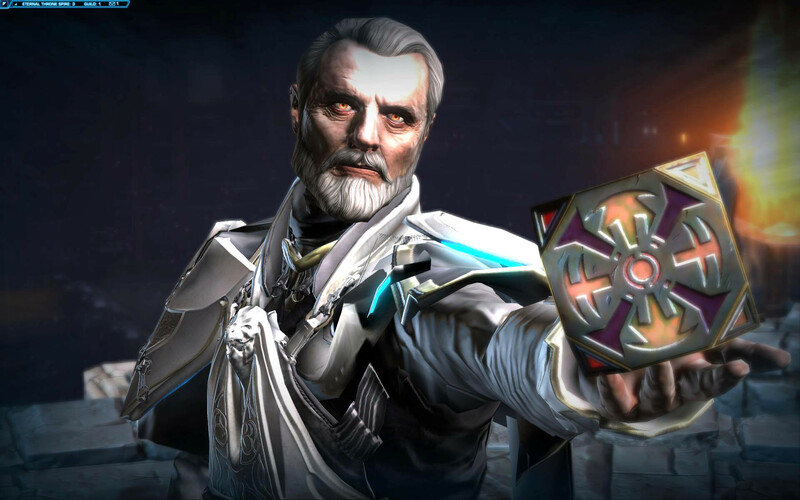 Use the Holocron: As Lord Dramath pointed out, there comes a time or two in your fight when Valkorion is vulnerable to the Holocron’s power. When you see it become usable, click it. It seems to temporarily stun and somewhat damage Valkorion. Switch Light/Dark Side: You can use the temporary ability bar to switch between Dark and Light Side abilities. From my last run, these seem to do more damage than your usual ones. 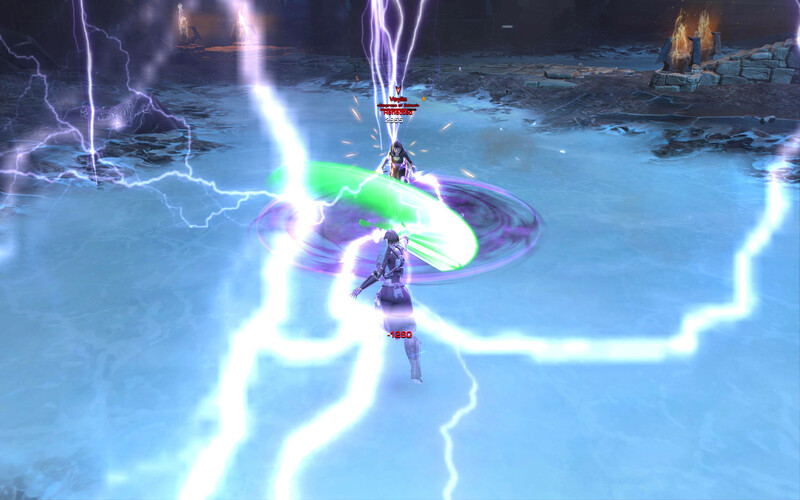 If you want to switch back to your normal ability bar, then hit the same Force Attunement ability. When you get Valkorion down to around 40% Health the fight finishes. Valkorion is down. 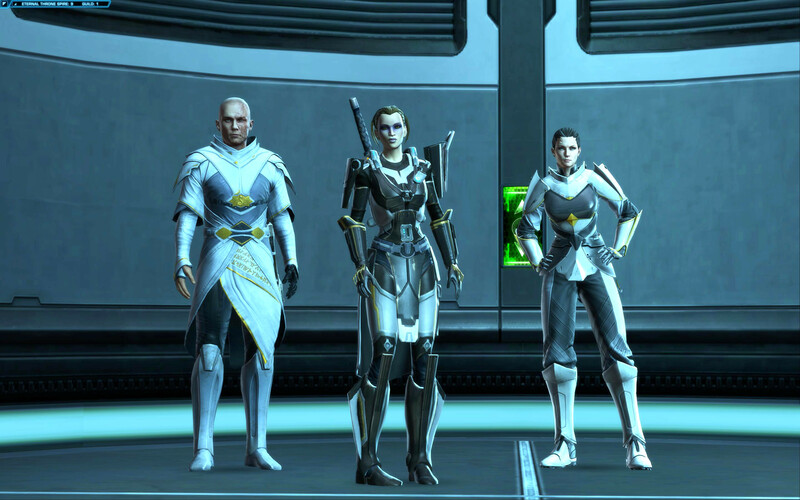 If Senya is alive, she joins you as well (despite the Holocron having been destroyed by Valkorion…but never mind!). 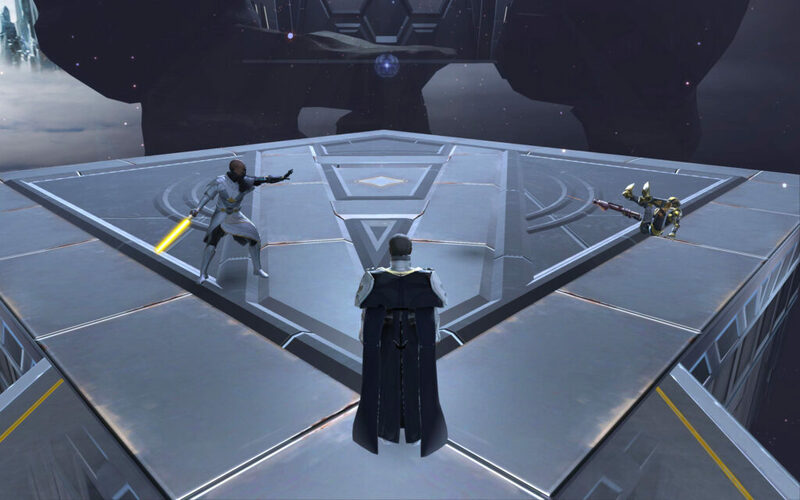 The final nail in the proverbial coffin is that you are able to use Kneel Before the Dragon of Zakuul against the Immortal Emperor. 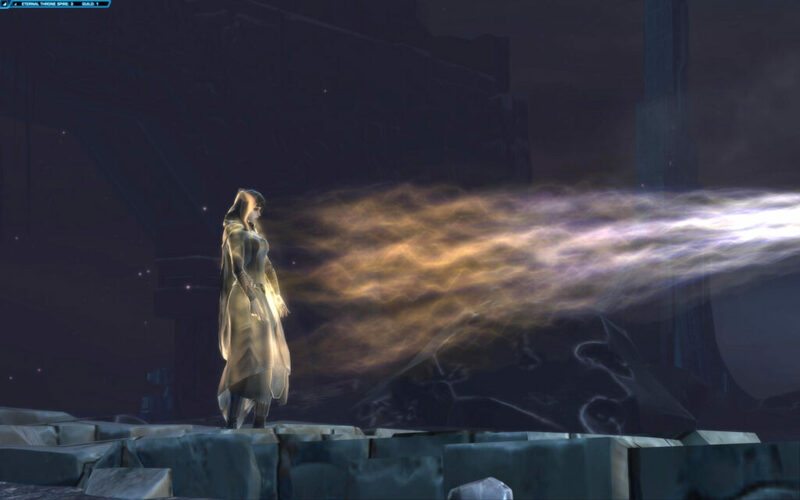 My theory on this is as he absorbed Vaylin’s spirit he became affected by the mental cage he had prepared by Vaylin. But as it was Vaylin personally that undid her conditioning, and freed her mind, Valkorion wasn’t graced with that same freedom. I don’t know if that’s accurate but that’s the nearest I can come to. 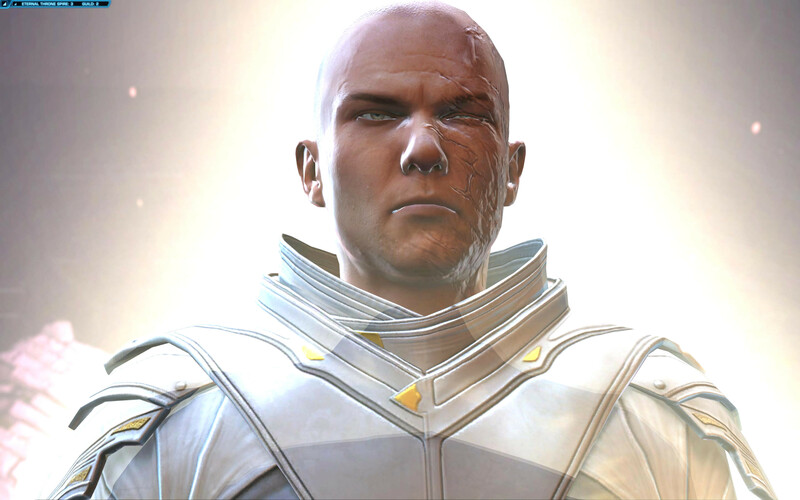 Containing the Emperor’s power allows you and Vaylin (plus Arcann and Senya if applicable) to bring him to his knees. You can then strike the final blow. 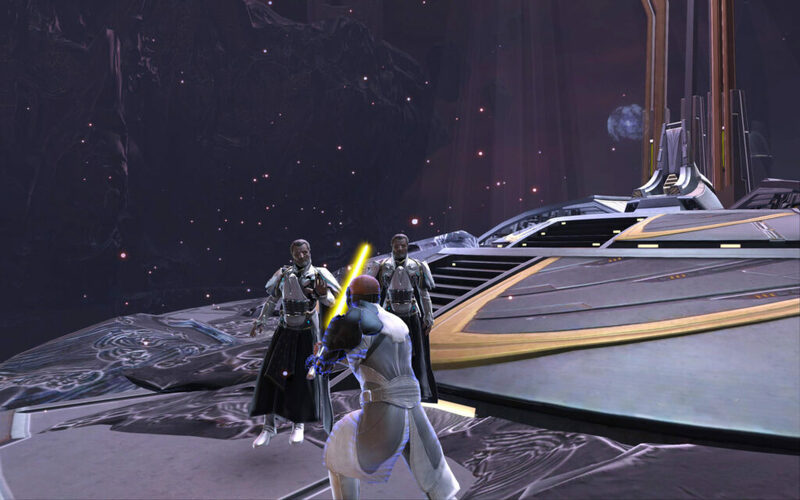 Vaylin vanishes from the scene (as she should) and you return to consciousness in the Spire Throne Room. Rule as Dictator or Heal the Galaxy as Peacekeeper? If you’re on a phone or tablet and want to open up this video in the YouTube app, tap here. The Eternal Throne brings most things to a close. 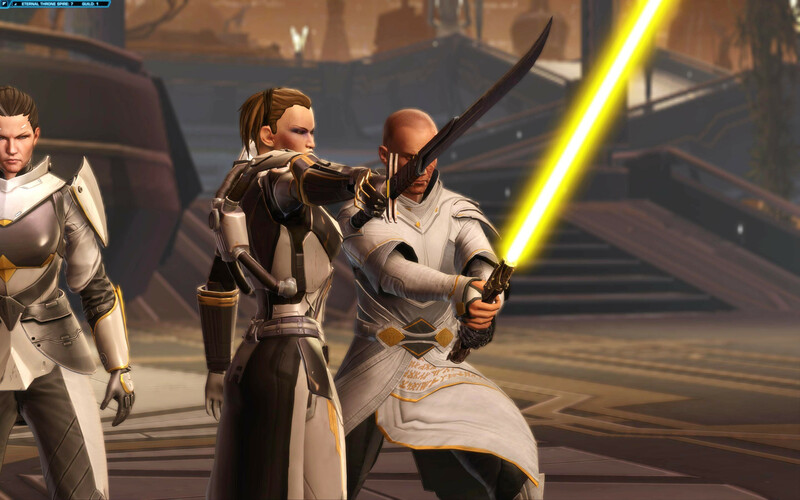 Valkorion is gone from your mind, the threat of Arcann and Vaylin is resolved (no matter the choices you make). 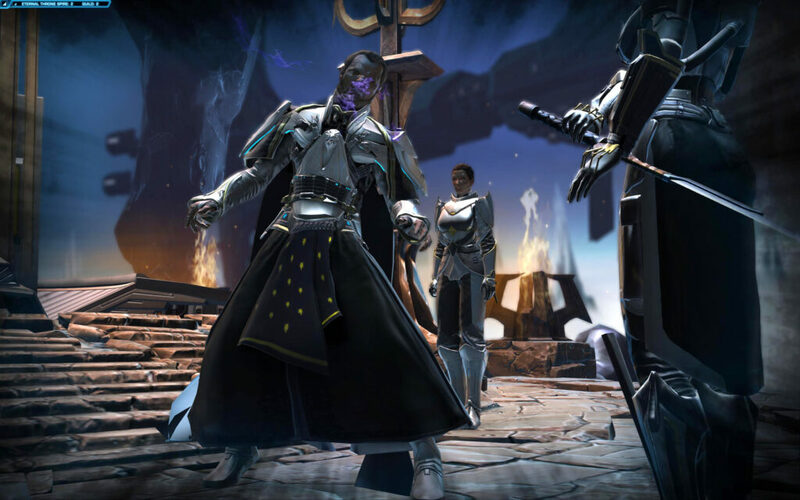 You become head of some ruling body – whether as Emperor/Empress or as Commander of the Eternal Alliance. 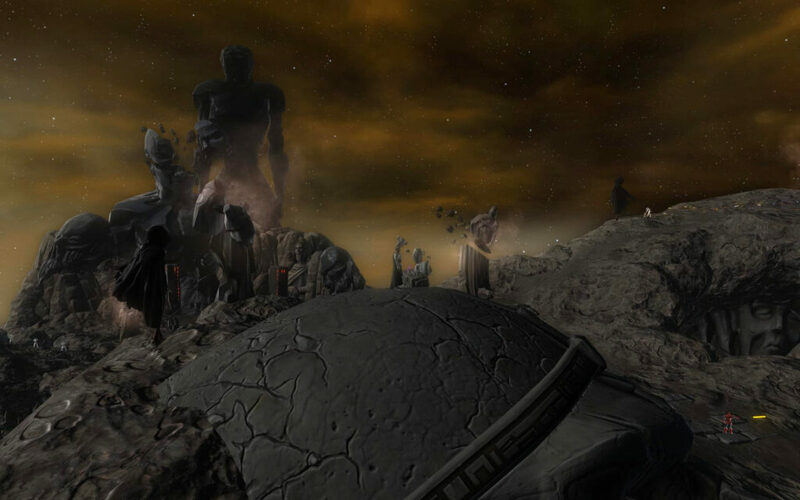 I loved the mechanisms in the Cortex of Memory and the plot-twist of being Valkorion. As someone who fights Chronic Pain, however, I found the fight with Vaylin very hard most of the time. Somehow I am better in KotET on Tanks than DPS. Or maybe I’m more patient. 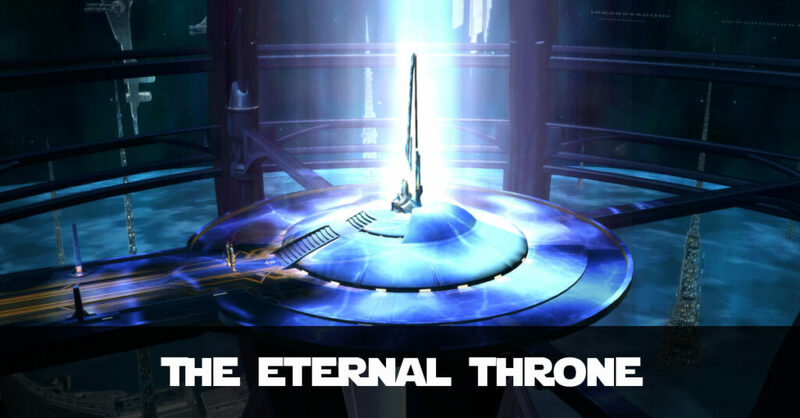 But either way The Eternal Throne leads to a satisfying end to Knights of the Eternal Throne. And it will be nice not to have Valkorion’s constant interruptions going forward!